This cathedral city in the heart of Lincolnshire has a student population of over 13,000 and a thriving e-commerce community. Could it be your start-up city? Why start a business in Lincoln? A picturesque city in the East Midlands, Lincoln is famous for its cathedral and castle. The city boomed during the Industrial Revolution thanks to the arrival of the railways and became a centre of heavy engineering, building trains, steam shovels and other machinery. This continued into the 20th century, with Lincoln becoming a major producer of tanks, aircraft, munitions and other military vehicles during the two world wars. Heavy industry declined after 1945 and today the city’s economy is largely based around public administration, commerce, farming and tourism. More recently Lincoln has developed a reputation as a hotbed of e-commerce companies, home to brands such as SpiralMedia and VMInnovations. The city is only served by one station currently, Lincoln Central, which takes between two to three hours to reach London. For closer links to major cities, Sheffield is less than 90 minutes away, while Nottingham is under an hour away. The city is not served by its own airport with Humberside and Robin Hood Doncaster Sheffield the nearest airpots, both around 25 miles away – 45 minutes by car. Lincoln is currently undergoing a £30m Transport Hub Scheme that will transform its city centre, creating a state-of-the-art bus station, 1,000 space multi-story car park, car park, retail space and pedestrian plaza, as well as improvements to the railway station to make it a “more accessible and attractive gateway to the city”. The scheme is expected to be completed by January 2018. Lincoln is home to two higher education establishments: the University of Lincoln and Bishop Grosseteste University. The larger University of Lincoln is a relatively young institution having started life as the University of Lincolnshire and Humberside in 1996. In 2001, it absorbed Lincoln School of Art & Design and Riseholme Agricultural College and changed its name in 2002. Today it is home to around 13,000 students. The National Student Survey (NSS) has ranked the University of Lincoln first for zoology, transport and travel, design, biochemistry and animal science, and it came 11th for student satisfaction in 2016. The university is home to an award-winning business incubation centre called Sparkhouse, which claims to have helped more than 300 new and growing businesses and created 450 jobs in the region. It also runs a number of partnerships with businesses and opened “the UK’s first purpose-built engineering school in 25 years” with Siemens plc – the Engineering Hub. Bishop Grosseteste University is a much older institution, but was only granted full university status in 2012. It is home to a student population of around 2,300. The university offers good services for businesses to help them access its pool of graduates and is home to the BG Futures Business & Enterprise Centre, which offers affordable office space, hire facilities and hot desking. As mentioned above, the University of Lincoln’s Sparkhouse provides managed office space, meeting rooms, post & reception services from £80. Tenants can also access business planning advice, an assigned mentor, seminars and workshops and networking events. The Lincolnshire Business Support Network (LINBIS), provides professional support and advice services for local businesses that have been trading for less than a year. Likewise, Business Lincolnshire is a good resource for finding information about local business support schemes and services to help you grow your business. The Lincolnshire Chamber of Commerce has been supporting businesses in the region for over 100 years, providing support services, membership benefits, training events and networking opportunities. Lincoln has one major science park, the Lincoln Science & Innovation Park (LSIP). Established in 2012 as a joint venture between the University of Lincoln and Co-op, it is home to the Think Tank Innovation Centre, which is open to start-ups, early stage and niche innovation firms; Joseph Bank Laboratories, which allows use of its laboratories for commercial activities; and the Boole Technology Centre, which has up to 22 units available in Spring 2017. Last year, Lincolnshire County Council secured £4m from the European Regional Development Fund to enable businesses in the region to access free expert advice and grants of between £1,000 and £10,000. Advice includes information on the basic pillars needed to support future growth, getting ‘investment ready’, saving energy, reducing waste and efficiency, as well as managing supply chains and accessing new ones. Close Brothers Asset Finance provides grants of up to 20% of the value of certain commercial vehicles – up to £500,000 or £10,000 per job that is created – for small and medium-sized enterprises in the region. The Carbon Trust Green Business Fund is also available to businesses in the region, enabling them to access up to £10,000 capital contribution towards energy saving equipment. Characterised by cobbled, winding streets and architecture dating back centuries, the city is certainly a picturesque and relatively peaceful place to live. 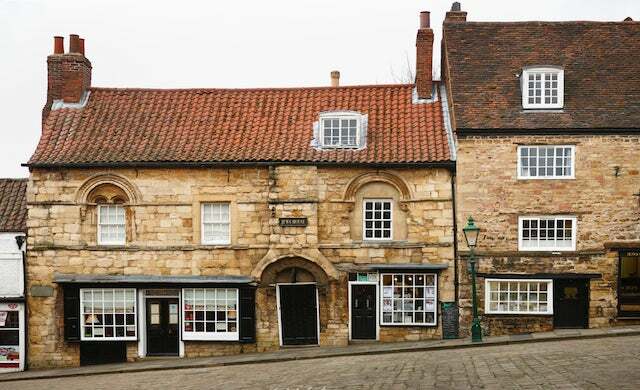 The Visit Lincoln website provides a plethora of information what to do, attractions, events and drinking and dining in the city. There is one major shopping centre, Waterside, which is home to most of the major high street names, while its Cultural Quarter at the heart of the city centre offers a variety of theatre, museums, art, music, bars and cafes.